Sometimes I really laugh when the plans I have made for an activity are realised in a totally different way. 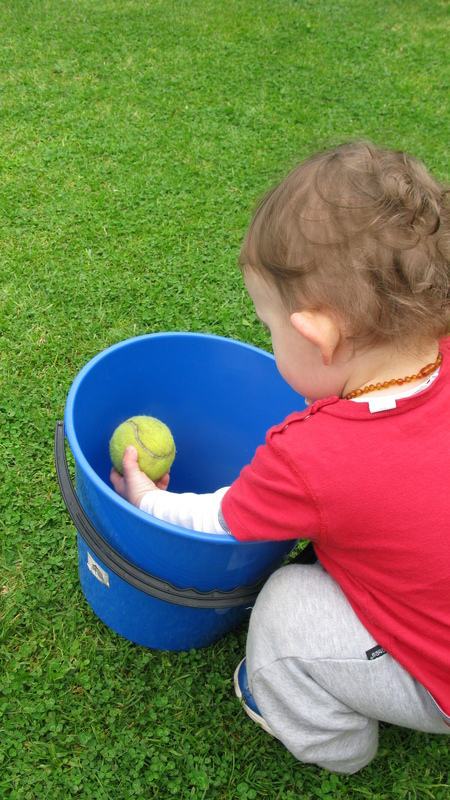 The other day I thought a plastic bucket and a few tennis balls would provide entertainment for my toddler grandson as he just loves putting things in containers and tipping them out again. So, off we went outside for ball play on the grass but it didn’t last nearly as long as I expected. 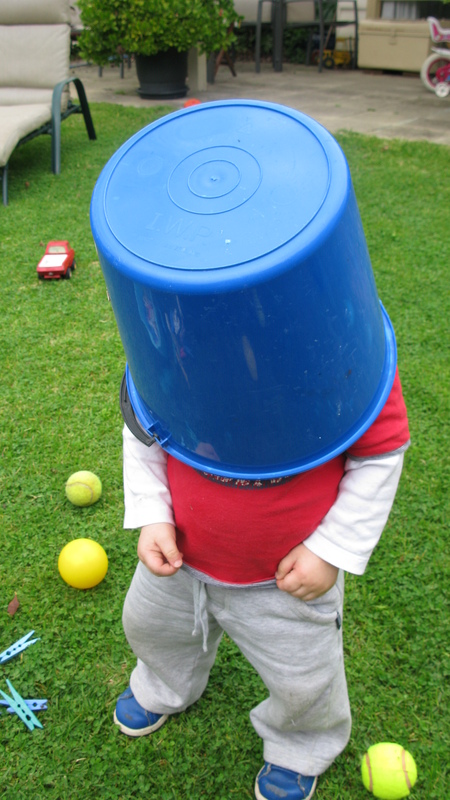 He found a totally different use for the bucket!